Davis GMC Buick of Medicine Hat, AB has purchased an entire semi trailer full of tires to obtain special pricing from the manufacturers to pass the savings on to their valued customers. We have over 1000 brand name tires in stock, including 400 winter tires at the best prices in Medicine Hat. Davis GMC Buick customers will receive free tire rotation and flat tire repair with the purchase of any four tires. Tire specials in the Truckload of Tires event can be viewed in the Truckload of Tires Sale Flyer. 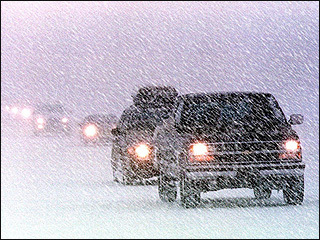 The Davis Tire Centre sells an extensive line up of top brand name winter tires, including UniRoyal, BF Goodrich, Michelin, Bridgestone, Firestone, Good Year, Yokohama, Pirelli and more. To take advantage of this limited time offer, please contact Rob Jack, Davis Tire Centre Supervisor, at (403) 580-5222 for an appointment. Davis GMC Buick, serving Medicine Hat and southern Alberta, is leveraging the ever popular social networks of Facebook and Twitter, allowing followers to experience the fun and frenzy behind the busy dealership and be notified of great offers and promotions as well. 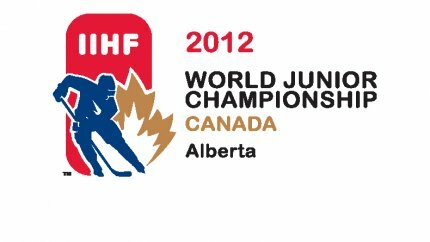 Davis GMC Buick is currently promoting their World Junior Championship Ticket Giveaway, where every in-store purchase earns a ballot to be entered to win tickets to round robin, playoff, bronze and gold medal games. Special contests will be posted exclusively for Facebook and Twitter fans. Davis followers will also be able to view fun photos, informative video, engage in conversation, and keep up with the tight knit family of staff that make Davis such a great place to work and do business. To become a fan of Davis GMC Buick, Medicine Hat on Facebook or Twitter, you can follow the social media links from the Davis home page: http://www.davisgmctrucks.ca/ or follow these direct links to each site. Congrats To Our Week 2 Winners Of World Junior Championship Tickets!! Another week, another 3 sets of World Junior tickets to give away… With Remeberance Day tomorrow, we made our draw a day early, so its time to give away some tickets! Each week we will draw 3 names from our ballot box, and those lucky winners get to draw a game from either the Round Robin or Playoff games hosted in Calgary! At the end of December we will be having a grand prize draw where 100 people will be given the chance to “Shoot to Win” tickets to the Gold and Bronze medal games! This weeks winners are Marvin Klaudt, Kathy Job, and Michelle Hilton! Our winners can come in on Monday to draw their games! Congrats to this weeks winners, and best of luck to everyone the rest of the way!! Davis GMC Buick has new 2012 Acadia’s and we want to tell our Lethbridge and southern Alberta shoppers all about this lovely ride. Davis GMC Buick proudly serves Lethbridge, AB and all of southern Alberta. Take the drive east to see our awesome line up of New 2012 GMC and Buick Models as well as our extensive gallery of Used Vehicles.